Schleich At Home With The Herbivores are museum quality replicas, hand painted, authenticated models by the paleontologists of the Museum of Natural History. 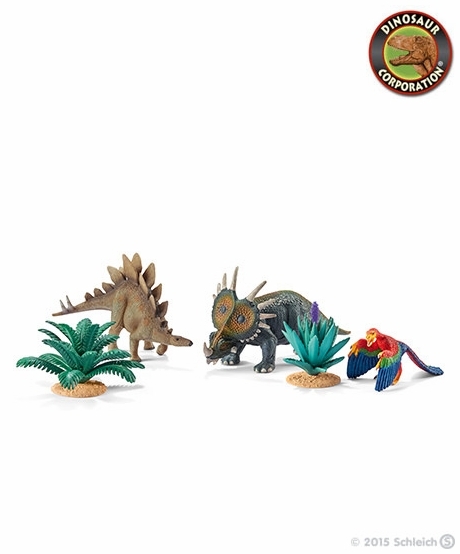 At Home With The Herbivores is a great toy gift for dinosaur enthusiasts and serious collectors. A herbivore is an animal anatomically and physiologically adapted to eating plant material, for example foliage, for the main component of its diet. As a result of their plant diet, herbivorous animals typically have mouth parts adapted to rasping or grinding.